With the emergence this week of Russia as the new power broker in the Middle East, the fundamental transformation of America is complete. When I first heard Barack Obama speak at the Democratic Convention in 2003, I was excited about this fresh, articulate, charisimatic African American senator who said there was no such thing as red states and blue states–and implied that if he were on the national stage one day, he would be a great uniter. Four years later, he ran for president of the United States. As I had done a number of times before, I began to seriously analyze his policy positions from a biblical worldview standpoint. I had first undertaken this task during the 1976 election–before the age of the Internet–writing to the campaign headquarters of Gerald Ford, Jimmy Carter, and Ronald Reagan asking for their policy positions on economic issues, social issues, and foreign policy. That research became the initial presidential scorecard (published by Intercessors for America) and became my first book entitled What About Himmy Carter? (published by Third Century Publishers). I’ve been analyzing presidential elections and policies for quite some time. It was called “One Hundred Reasons Why I Will Not Vote for Barack Obama.” I had just returned from a trip to Asia where, over the course of a long flight, I jotted down one hundred policy stances that I felt disqualified Barack Obama from being a good US president. They encompassed the same economic, social, and foreign policy positions that I had been studying for decades. At the time, I hoped I was wrong about Barack Obama. But now the verdict is in after seven years in office–with only one lap to go. Barack Obama said that he wanted to fundamentally transform the America nation. He’s now been given seven years to do it. From a simple keeping-of-his-word standpoint, he has probably been one of the most successful presidents in the history of our nation. But from the heavenly view of God’s eternal principles and desires, it pains me to say that he has possibly been the worst. Before we analyze how Barak Obama has successfully transformed the United States of America, let’s be honest about the fact that he hasn’t done it alone. Changing America from a God-fearing, Christian-oriented nation to a backslidden secular state has taken a number of generations to accomplish. Woodrow Wilson’s League of Nations in 1914 which became the United Nations–pointing us in the direction of a one world government. The creation of the World Bank and FDR’s big government expansion of the 1930s and 40s. The Church in America embracing pietism and moving its influence out of the public sphere. The sexual revolution of the 60s and 70s which mainstreamed drugs and sexual immorality and rebellion against authority. The immigration invasion from Latin America beginning with Ted Kennedy’s signature legislation in 1965. No-fault divorce laws becoming common after a California statute was passed in 1969. This led to the multi-generationl collapse of the family unit. Richard Nixon taking the country off the gold standard on August 15, 1971. Roe. v Wade on January 22, 1973 which legalized killing babies under the euphemism of abortion. Our defeat in the Viet Nam War in 1975. The United States government compiling one trillion dollars in debt by 1981 and growing to ten trillion by the time President Obama took office. The AIDS epidemic of the 1980s and 90s and the growing acceptance of homosexuality. The dissolving and ghetto-ization of African American families in US cities in the past fifty years. August 20, 1920, when the 19th Amendment of the Constitution was ratified guraranteeing women the right to vote. The positive effect of both WWI and WWII to unite the citizens of America to fight and prevail against Nazism and communism. Growth of evangelicalism beginning in the 1940s with Billy Graham and many other national Christian leaders. The charismatic and Pentecostal renewal of the 1960s and 70s. The Civil Rights movement and legislation of the 1960s under the leadership of a Christian minister–Dr. Martin Luther King. The Reagan Revolution of the 1980s which supported biblical values and began a 30-year economic boom in the United States. The fall of the Iron Curtain due to much prayer and the wise leadership of Ronald Reagan, Margaret Thatcher and Pope John Paul II. For that entire 100 years, the USA leading the world in freedom, global missions, restraining tyrants and fighting against evil. These are also just a few highlights. But now, the negative transformation of America is complete under Barack Obama’s Administration. He didn’t begin it–but he certainly accelerated and completed it. America has transformed from being a strong, biblically based republic into becoming a weak, secular based social democracy. The transformation has been completed in three different areas. 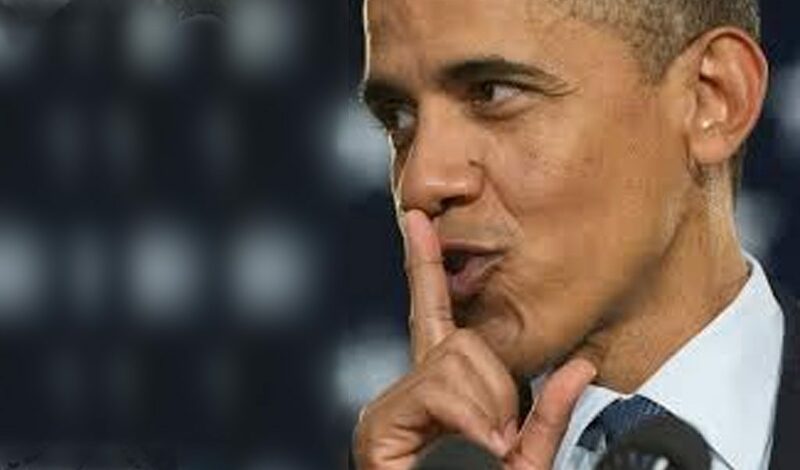 With the complicity and deceit of a Democratic Senate and House during his first two years, Barack Obama pushed down the throats of all Americans the still unpopular Affordable Care Act (Obamacare) allowing the US government to take over another one-sixth of nation’s economy putting America on the pathway to socialized medicine. Combined with futile economic stimulus and monstrous regulatory tenacles, 96 million Americans are currently out of work (the most since the 1970s), the real unemployment rate is probably closer to 10-15%, and median income for families has fallen for years. The president’s economic policies have produced the weakest recovery in history. Yes, he inherited a mess. But by all accounts, he’s made it worse, not better. Obamanomics has made America weaker. Barack Obama says that he is a Christian. When Hillary Clinton was running against him in 2007, she said that we should “take him at his word” that he is a believer, and not a Muslim. In the past seven years, we have learned that one thing we can’t do is take Barack Obama at his word. Better to trust Jesus Christ, the Son of God, when he said that you know people by their fruits–not by what they say (Matthew 7:16-20). Barack Obama’s consistent actions over the past seven years demonstrate that he is not a follower of Jesus, but rather a secular man with Muslim sympathies (probably due to his upbringing). He is the most pro-abortion president in history. He refused to participate in the Judeo-Chrisitan National Day of Prayer every year of his presidency while supporting Muslim prayer in the White House. He has championed LGBTQ rights in his policies (the secular vision of morality) and lit up the White House in rainbow colors when homosexual marriage was approved by the Supreme Court. Barack Obama has championed secularism not biblical faith. And if secularism were a username, then LGBTQ is the password. It’s the only morality the president promotes. Barack Obama has weakened America morally and spiritually. The final cornerstone of the Obama presdidency fell into place this week when Vladimir Putin humiliated him at the United Nations and the next day set up shop in Syria, making Russia the new dominant power in the Middle East. For the first time in my lifetime, the United States of America is no longer the main peace-keeper in the most important part of the world. It took our president less than seven years to unravel America’s vital role in the Middle East for the past forty. The slide has been historic and deadly. First we abandoned Iraq foolishly and prematurely, propeling the rise of ISIS to barbaric power. We failed to act when Bashar al Assad crossed the infamous red-line by using poison gas in his civil war. We allowed an Arab Spring to turn into an Arab winter of chaos and the rise of Nazi Islam all over the Middle East and Northern Afria. Leading from behind has now made us the tail, not the head. Now Russia is forming a new alliance of evil between Iran and Syria–including a Shia enclave of carnage that will try to isolate Israel and bring down the Western powers. Barack Obama has greatly weakened America militarily and in the world. Weakening the United States within and without. Of course, the president doesn’t see it that way. He believes he has made us a better nation. But regardless of our difference in perspective, Barack Obama has succeeded. He has done what he intended to do. I don’t like what he’s done. I don’t believe the God of the universe does either. The only question left is this: Will we love God and our nation enough to cry out to Him for forgiveness, to turn from our darkened path, rebuild the righteous foundations, choose godly leaders and believe Him for a different kind of fundamental transformation?